"She's a very good girl with a big heart." A 9-year-old girl is working hard to ensure that none of her classmates miss a birthday celebration. Two years ago, Bella Smith, a third-grade student at Wyan-Pine Grove Elementary School in Kentucky, launched "Bella's Boxes." Bella started the project after a fellow student told her that his family couldn't afford to have a party for him, Smith's mom, Marlana Evans, told "Good Morning America." "The school she attends is a Title 1 school, which means 80% of the population here is impoverished -- so we have students that struggle with a lot of things," said Evans, who teaches at Bella's school. 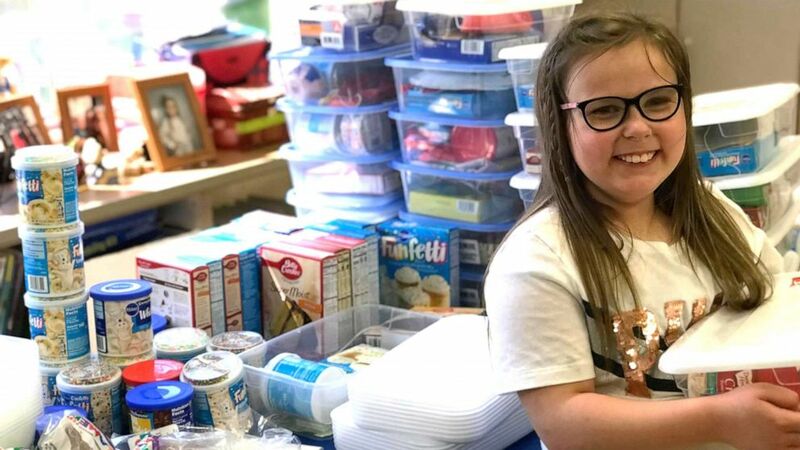 (Marlana Evans) Bella accepts donations of balloons, cake mix and other party supplies and packs them up for her fellow students at Wyan-Pine Grove Elementary School in Ky.
"Adopting another child, it's everything." "She has the most beautiful smile and it inspired me to do something for her." "She loves meeting the little girls and giving them dolls." Evans said that Wyan-Pine has a backpack club which sends home to students that need it. 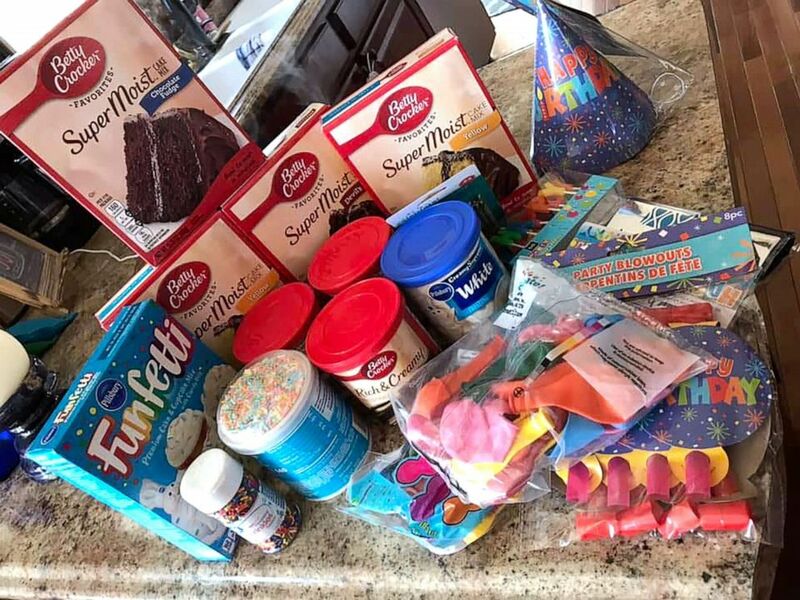 Bella fills her "birthday boxes" with cake mix, balloons, icing, sprinkles and distributes them through the school's Family Resource Center. 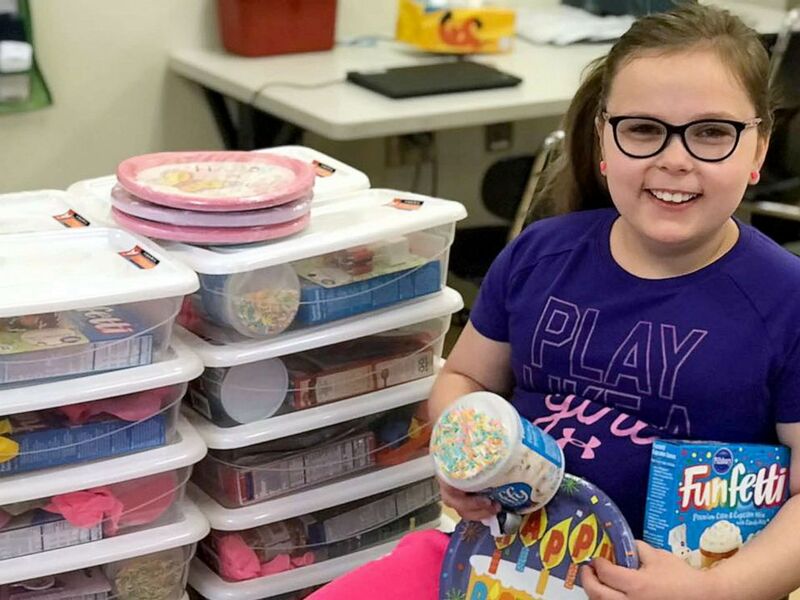 (Marlana Evans) Bella Smith, 9, launched "Bella's Boxes" when she was in 1st grade after learning there were kids at her school that couldn't afford to have a birthday party. Bella receives all supplies through donations from community members. For her own birthday, March 26, she requests birthday box donations instead of gifts. "I'm extremely proud of her," Evans said. "She's a very good girl with a big heart." (Marlana Evans) Bella Smith, 9, a third grade students at Wyan-Pine Grove Elementary School in Kentucky, packs boxes with balloons, cake mix and other party supplies for her less fortunate classmates. Bella has packed 65 birthday boxes this year and is still going. "I thank God for the opportunity for letting me be able to shine my light and show that I love my neighbor," Bella told "GMA."